How about plaid over cross over peace signs? Almost exactly 2 months ago, I was feeling sick while taking this outfit photos and so am I right now. I don't know if I am just exhausted or whatnot. I hope to get well soon, I badly need to fuel up to energize my body! Anyway, just a short update. I geared up a multi-tasking pieces for Bagyong Maring! I never doubt wearing these prints going to Eastwood that time, all I think was to covered up myself because of the cold weather! I played three prints to get one whole get up. 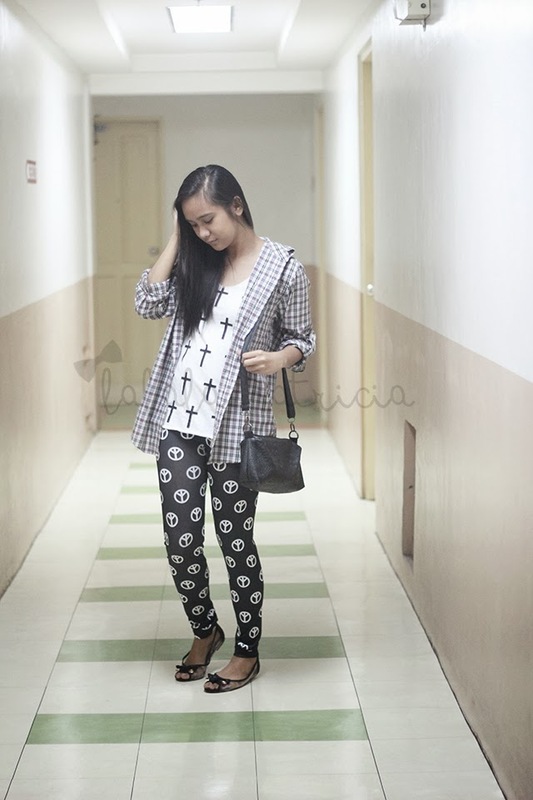 Boyfriend's plaid top, cross tees from @kikaystyle and paired it with this comfortable peace leggings from @supersalestore. 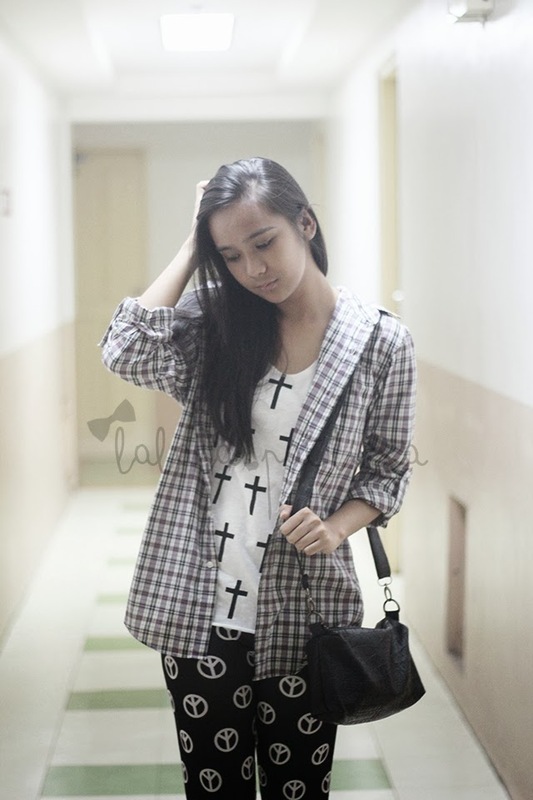 You can check their shop for more styles and printed clothing at affordable prices!